This is an amazing wall sticker crying wolf, that cries during the night and looks at the moon. 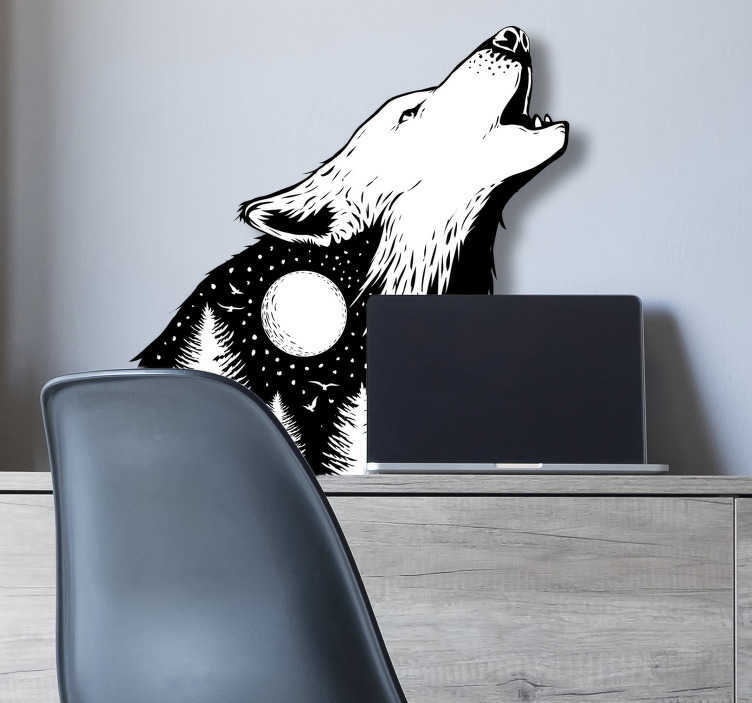 This wolf wall sticker is a nice idea for in your living room or bedroom as wolf wall decoration to enjoy the interior of your house even more. These wall sticker crying wolf or just wall sticker wolf is a nice wall sticker for any type of person as a gift. You can choose the size of this wall sticker as you please and we will modify the design to the exact sizes you want. Wolf stickers for wall are uniek and origional decoration.